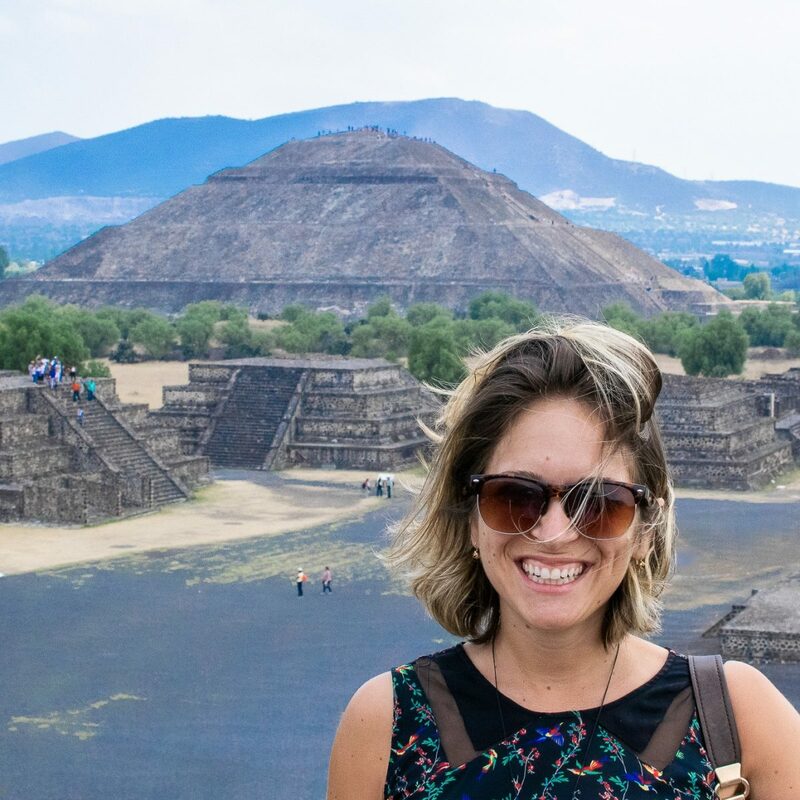 I was recently helping my parents plan their trip to visit us next month and I spent a lot of my time trying to find them the perfect AirBnB in Mexico City. 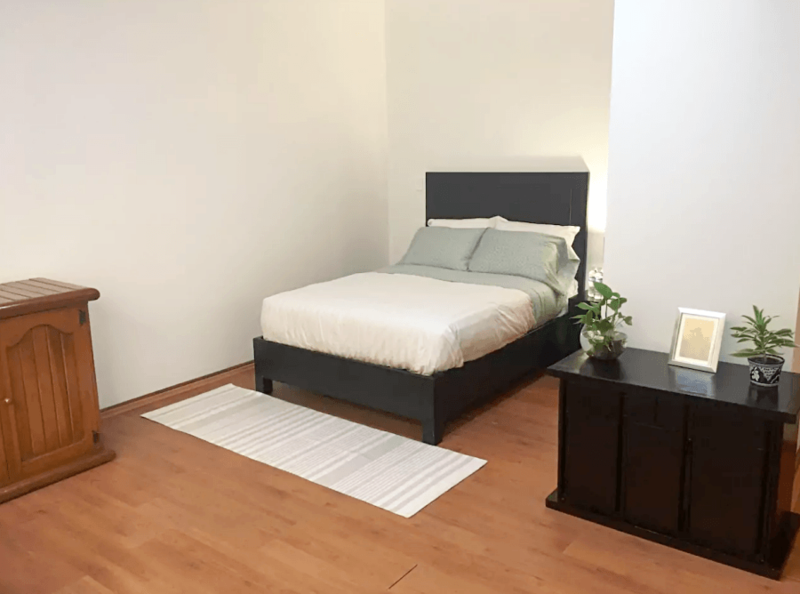 I figured I would share the ones that really stood out with all of you so that you can benefit from all of the amazing AirBnB rentals available in Mexico City! I’ll break them up by neighborhood in case you already know the part of the city you want to stay in. These are my favorite neighborhoods in the entire city. They’re ones I spend a lot of time in myself and ones I think offer the most in the way of restaurants, bars, safety, and ease of exploring the rest of the city. If you aren’t sure which neighborhood would work best for you I recommend having a quick read of my post, The Best Neighborhoods in Mexico City to see which you like most. AirBnB is always my preferred place to look for accommodation in Mexico and everywhere else in the world for that matter. 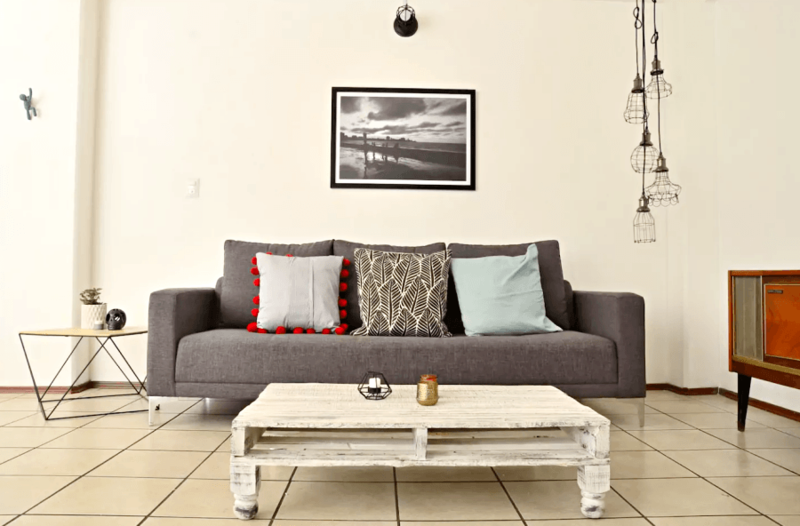 If you’ve never used AirBnB before, have a read of this post that breaks down exactly why I love it so much (and gives you a $35 voucher too!). Roma is a really hip neighborhood with loads of unique bars, restaurants, and cafes. It has a lot of really great shopping if you enjoy markets and art galleries. It’s a really quickly growing place, but it still retains a lot of the old-style Mexican charm that some of the other up-and-coming neighborhoods have already lost. The first thing I thought when I saw this place was that I LOVED how bright it was. It is full of natural light and has a really lovely view out over the neighborhood. It’s all very modern and clean and there’s a really huge balcony area. It’s in one of my favorite parts of Roma right near Alvaro Obregon, the main street in Roma. There are literally hundreds of great bars and restaurants around here worth checking out. You literally cannot beat this price. A two bedroom apartment that sleeps four. That’s $10 per person! It’s in a similar neighborhood to the above loft near all the good restaurants in Roma. Condesa is one of my favorite neighborhoods. It has lots of green space. It’s much quieter than Roma, while still having plenty of really cool cafes, bars, and restaurants to enjoy. It’s slightly more expensive than Roma, but still really reasonable. This place is so freaking cute and perfect for up to two people. It’s right near Parque Mexico, on of my favorite places for people watching in the city. 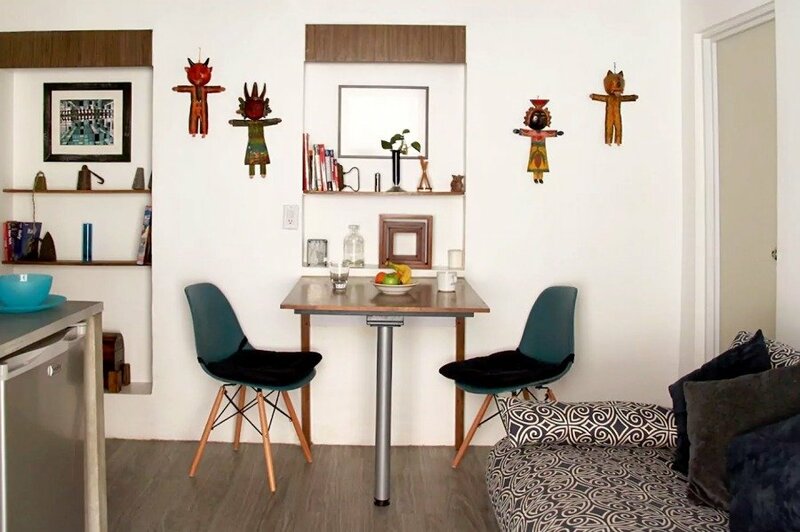 It’s in a nice residential part of Condesa with plenty of cafes and bars to keep you hydrated. The thing that really sold it for me on this place was the garden area. 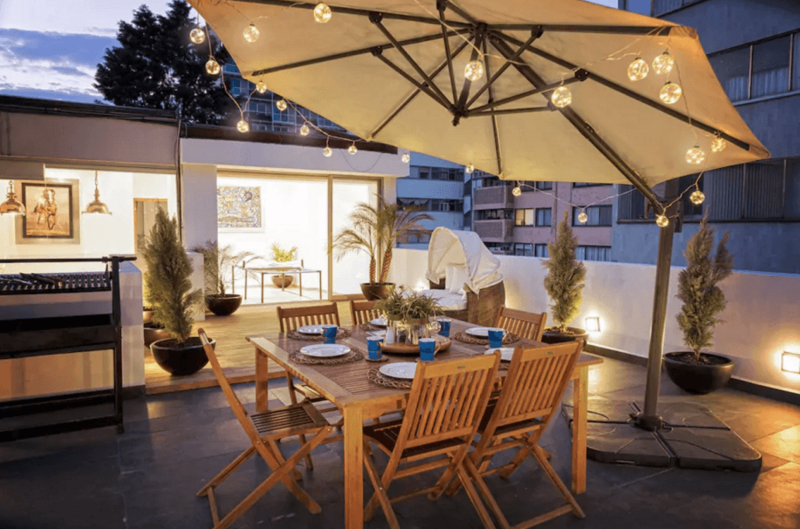 It’s hard to find this sort of private outdoor space in Mexico and although this is shared with the rest of the apartment, it is still a place where you can hide away from the chaos of the city and enjoy a morning coffee or evening beer after a day of sightseeing. This is one of my favorites and the one I recommended for my parents. 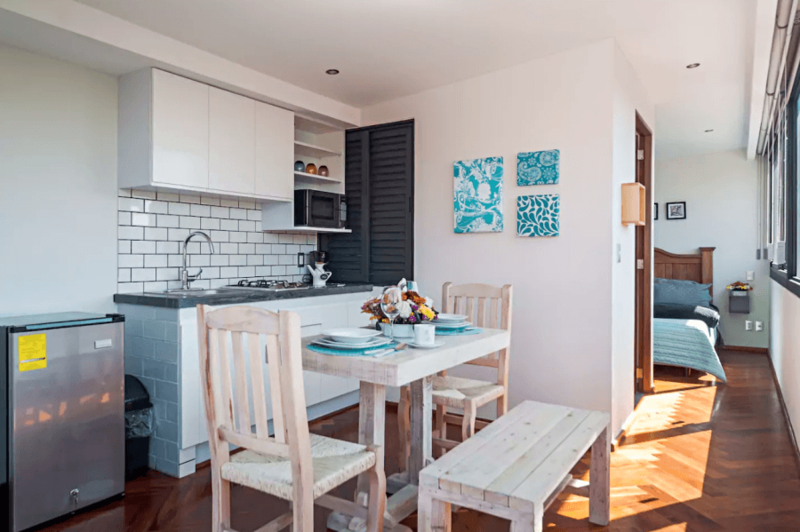 It has two bedrooms, sleeps four and is right near all of the best cafes and bars in Condesa. I love the way the apartment is decorated and it’s perfect if you’re traveling as a family. There is really strong wifi and a balcony which literally sells me on any apartment anywhere in the world (please tell me I’m not the only person who would pay double just for an outdoor space?). Polanco is a very upmarket neighborhood. The main street, President Masaryk, is like the Rodeo Drive of Mexico City. Here you’ll find all the name brands, fancy cars parked along the street, and some of the best restaurants in the entire country (I’m looking at you Pujol). Even though it’s one of the most expensive suburbs in Mexico City, you can still find a great bargain on AirBnB. Save on the accommodation, splurge on ALL the food. This is a really great price for this location. Not far from the metro, close to all of Polanco’s nice bars and restaurants, and a daily housekeeper, too. It’s slightly simpler than some of the other places that I’ve chosen, but for this price I would definitely consider staying right in the center of Polanco. This is in such a great location right near the Polanco metro station. 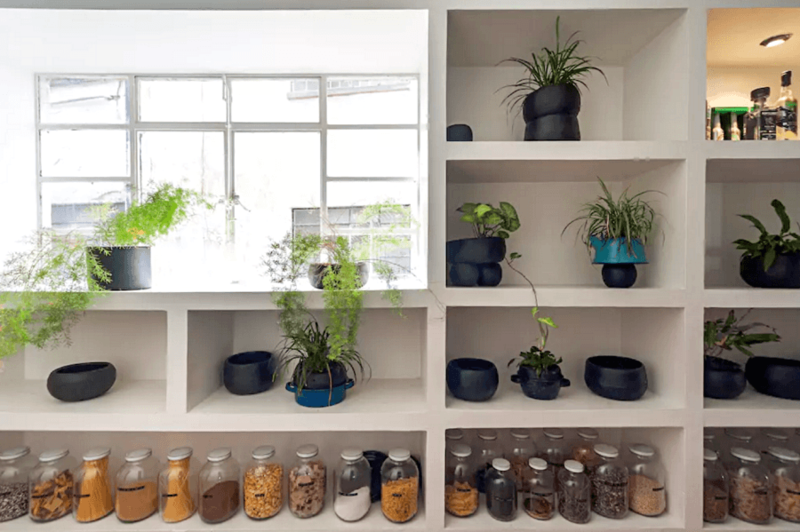 The apartment is nicely decorated, has loads of space, and wow do these jars all lined up make me so excited. 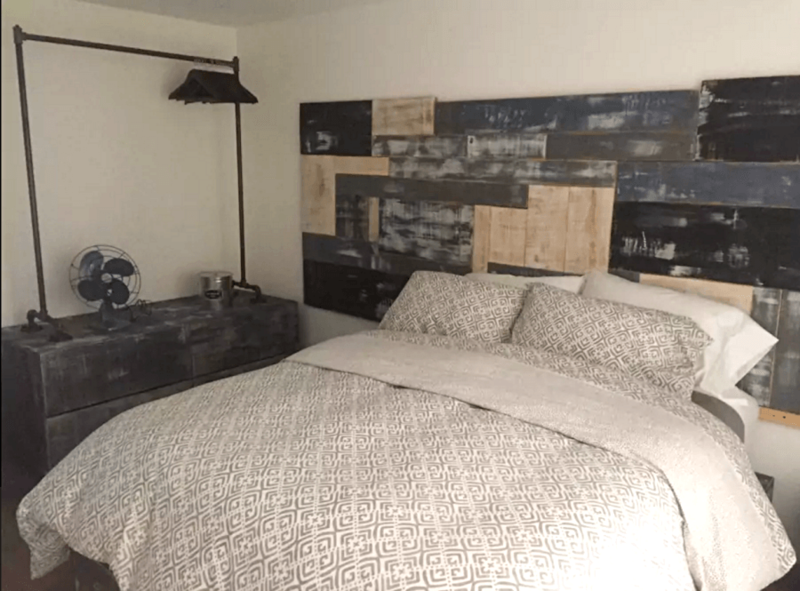 I love staying in AirBnB places that give me ideas for my own home decor and this place is already doing that just from the photos! There are tons of really positive reviews and it’s near all of the really hip restaurants and bars of Polanco. This is basically the center of the city. This is where you’ll find most of the museums, historical buildings, and tourist attractions. It’s full of hustle and bustle, but it’s well connected to the rest of the city through public transportation and has some really great restaurants and bars worth checking out. This is such a cool studio apartment. It has been beautifully decorated and is full of natural light. There’s a bit of a terrace to enjoy the sunshine, but the location (for that price!) is the major selling point for this place. It is literally steps away from the Zocalo (main square) of the city. You’re close to the metro so you can zip around the rest of the city fo 5 pesos (25¢). The reviews for this place are so nice – I want to go stay there! Can I move in here? This is literally one of the most beautifully done spaces I have seen in the city. It’s two floors so the bedrooms are on separate levels – perfect for two couples. The patio with that view over the city is absolutely incredible. It’s been really beautifully decorated and it’s in a perfect location for exploring all the history in Mexico City. 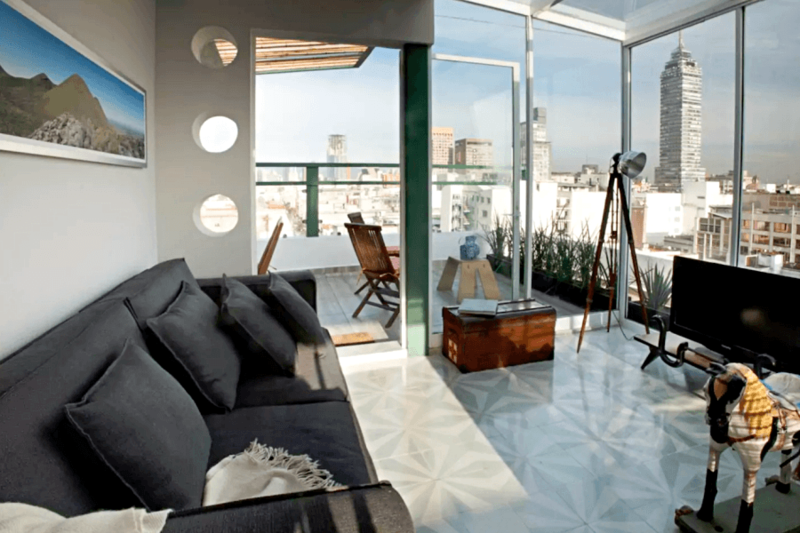 This penthouse apartment is perfect for a group of friends or a big family to explore Mexico City from. It’s in a nice part of Polanco with plenty of places to eat and drink. There are three bedrooms all with beautiful natural light and an additional pullout couch and airbed for more people to stay. The rooftop has to be the best part (I think I’ve literally said that about every apartment in this post). There’s a huge barbecue that you can use and plenty of space to enjoy sunshine and shade throughout the day. If you’ve never used AirBnB before, sign up through this link to get $35 off your first stay. Once you sign up that amount will automatically be applied to your first booking! If you’d rather stay in a hotel, you can see some of my favorite boutique hotel reviews here and here.